HomeSoil Stabilization Workshop in Mississauga, Ontario. Soil Stabilization Workshop in Mississauga, Ontario. Today the international geosynthetics expert, Eng. Pietro Rimoldi will be hosting a “Soil Stabilization Workshop Using Maccaferri Geosynthetics” in Mississauga, Ontario. The workshop will focus on designing reinforced roads and load transfer platforms using Maccaferri geogrids. The key objective of the workshop is to teach engineers in the field of road design, how Maccaferri’s free in-house software works in both theory and practice format. The attendees will be given the software and shown how to apply it to real Canadian case scenarios, while the design methods are explained. 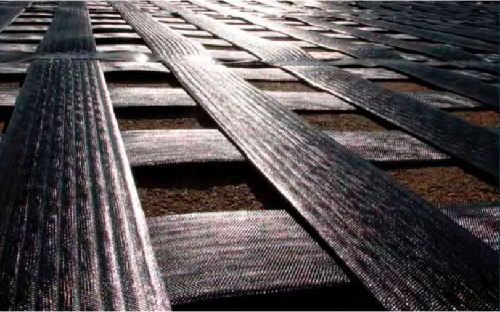 MacREAD Studio is Maccaferri’s software suite for designing both reinforced platforms and unpaved roads. In the case of reinforced platforms the calculation can be carried out through two different methods depending on the subgrade type: BCR method in case of loose sand and Static Method in case of soft clay. MacREAD Studio includes two different methods for designing unpaved roads: the Giroud-Han Method and the Leng-Gabr Method. Once the thickness of the reinforced layer is determined Geogrid Design shall be used to determine the type and distribution of the geogrids in the base and subbase layers. MacREAD 2.0 AASHTO is Maccaferri’s software for designing reinforced flexible pavements. Based on the 1993 AASHTO Method, the software allows the user to optimize the solution as a combination of the minimum required thicknesses of the base and subbase courses and proper type and distribution of the geogrids.